I've debated reading this book for years. I wasn't sure that I wanted to read a book about a disagreeable man. However, I was looking for a book in translation for one of my reading challenges and this one fit the bill. I'm so glad that I picked this up! his suicide. This book really should come with a trigger warning. I was not expecting this at all, and it brought back sad memories for me of one of my best friends, like Ove, who tried different methods of suicide until one finally worked. When a family moves in next door, it's the beginning of a beautiful metamorphosis for Ove. I love the pregnant mom, Parvaneh, who seems to see right into the heart of Ove and knows exactly what he needs. 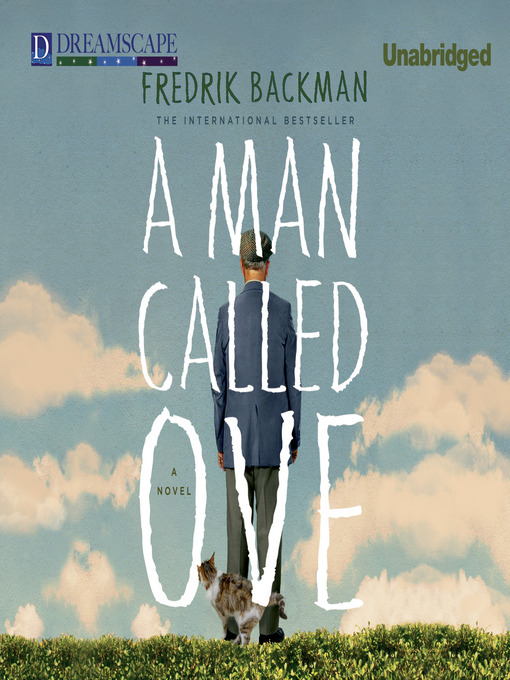 Aside from the trigger in the beginning of the book that was upsetting, this was a moving story of how one man's world changes from losing what he thought was everything that mattered to finding joy in new things and people. Life does go on, no matter what. I've always felt that no matter your age that one needs to feel needed and to have a purpose or there is no motivation to get your aching bones out of bed each morning! 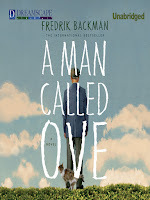 Life is about living and making a difference, and I love that sentiment that Backman conveys. "To love someone is like moving into a house," Sonja used to say. "At first you fall in love in everything new, you wonder every morning that this is one's own, as if they are afraid that someone will suddenly come tumbling through the door and say that there has been a serious mistake and that it simply was not meant to would live so fine. But as the years go by, the facade worn, the wood cracks here and there, and you start to love this house not so much for all the ways it is perfect in that for all the ways it is not. You become familiar with all its nooks and crannies. How to avoid that the key gets stuck in the lock if it is cold outside. Which floorboards have some give when you step on them, and exactly how to open the doors for them not to creak. That's it, all the little secrets that make it your home." I haven't seen the 2015 film adaptation yet, but I hope it does justice to the book! 4 stars!! It was really good, and you should put it on your TBR if you enjoy contemporary fiction. This sounds so good! I've been thinking about reading this one because it seems like such a moving story. Glad to hear that it holds up. Great review! Great review! I really liked this book, too. I’ve read a few others by the author. My favorite so far is My Grandmother Asked Me To Tell You She’s Sorry.